I have been thinking about this project I came across in Chattanooga. It is in an area that is known for violence, increased arrests, drug sales, etc. 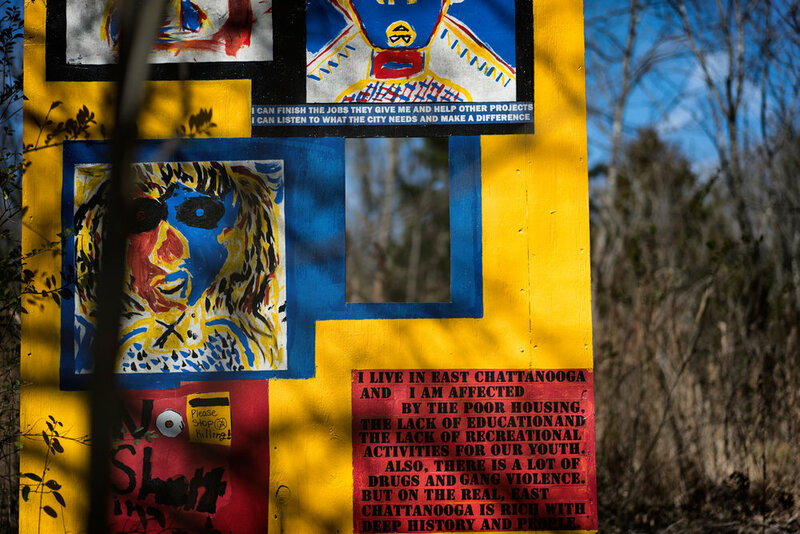 The project is called FACE to FACE and it shares thoughts of children in East Chattanooga by way of art. It is always interesting to me that some of the most talented youth live in some of the most crime ridden areas of America. 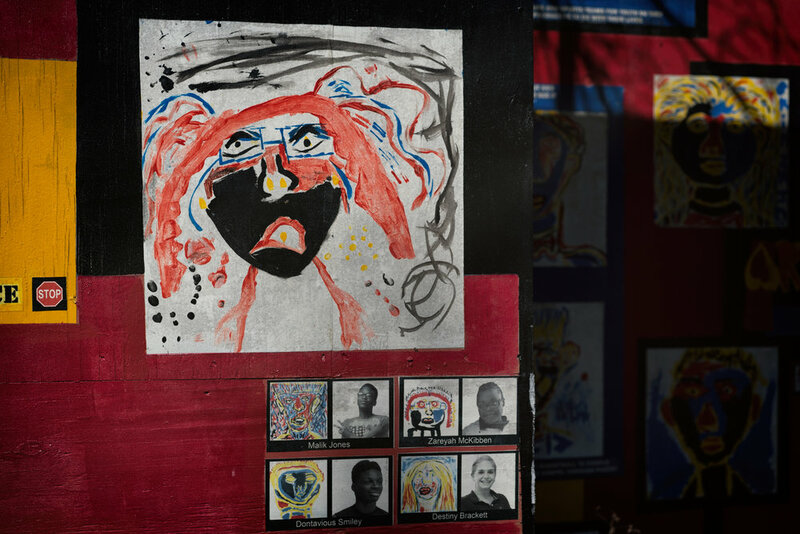 The arts is their escape from childhood pain experienced at home, an escape from the violence they witness on the street – art is the safe place for some. 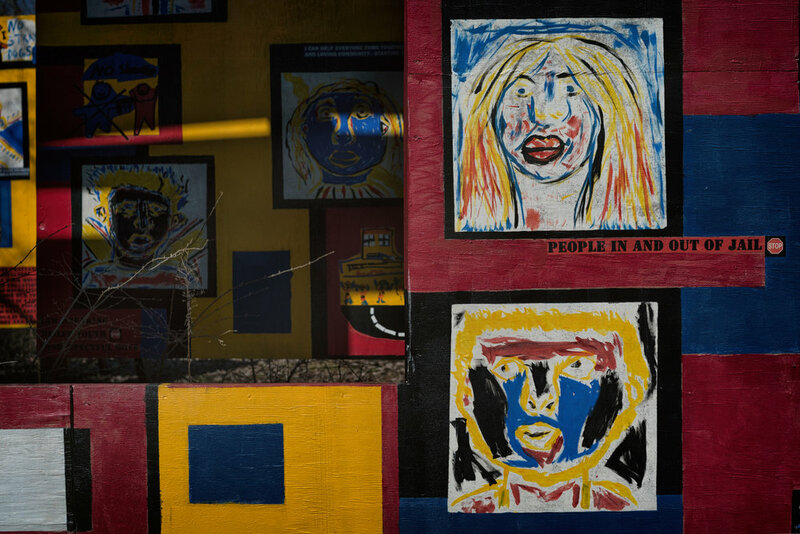 The painted faces on the red, yellow and blue backdrop are self-portraits of the youth involved in the project. Some of the quotes written are their thoughts on violence. The brick archway was once the entrance to Delanie Park and later the Highway 58 Drive-In Movie Theater. Now, it is an overgrown field, but perhaps an open field to more positive growth in the city. This mural was put together between 2013 and 2014 and still stands in 2018 with natural growth, but without vandalism. Many abused children cling to the hope that growing up will bring escape and freedom. But the personality formed in the environment of coercive control is not well adapted to adult life. The survivor is left with fundamental problems in basic trust, autonomy, and initiative. She approaches the task of early adulthood ―― establishing independence and intimacy ―― burdened by major impairments in self-care, in cognition and in memory, in identity, and in the capacity to form stable relationships.